Whenever I see black mulberry at the market, I remember the mythological story in the book Metamorpheses written by Ovid, a Roman poet. I read this story at my university years and was so mch impressed by it. The story takes place in Babylon, where mulberry finds the suitable climate. There are two lovers in the story, Pyramus and Thisbe. They loved each other so much since their childhood, but their parents were against this love. Their houses were side by side and they would whisper their love to each other through a fissure in the wall seperating their houses. One night they decided to escape from their houses and meet under a tree. It was a tall tree full of white berries. At that night, Thisbe arrived first, but saw a wild lion there with a bloody mouth. This was enough to scare her, and she ran away towards a dark cave. However, she dropped her veil on her way. After some time, Thisbe decided to go back to their meeting place not to disappoint her beloved. Unfortunately, when she returned, she saw the body of Pyramus under the mulberry tree. What a destiny they had! She cried and cried and cried. Her tears dropped on the beloved body and cleaned it from blood. She understood that Pyramus killed himself because he thought that she was eaten by the lion. Death didn’t have enough power to seperate these lovers. Thisbe did exactly the same to reach her beloved through death and she placed the sword directly into her heart. Her body fell on the body of Pyramus. Witnessing all these, the tree has the color of Pyramus’s blood on its berries and Thisbe’s tears on its leaves. What is more interesting about black mulberry tree is hidden in this story. You know when you touch the black berries with naked hand, your hands turn into a blackish color. And it is very hard to remove this color from your hand. Do you know what removes it? Its leaves! If you pick a leaf from the tree itslef and rub your hand with it, you will see that your hand turns into its own color. As I knew this incredible truth about this tragic black mulberry fruit, I asked for a few leaves from the salesman to clean my hands. He gave the ones he was using for decorating his fruit stand. And guess what? It really worked! 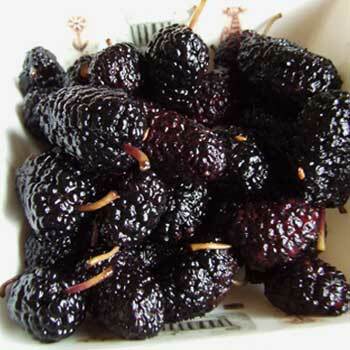 I don’t know how many people know this story, but many people love to eat black mulberry. It’s getting more and more popular as doctors explain that it is a great source of antioxidant and has many benefits for our body. It protects our hearts and it defers getting old. It cleans the blood, so it is recommened to anemia patients. It also removes fatigue and curative for mouth and throat infections. We love to eat this fruit, but we can find it in a limited time of year, so to make it longer, I make black mulberry jam to eat it in Winter, too. Wash the mulberries well and cut their stems one by one. In a large pot, put one layer mulberries one layer sugar until both finish. Cover the pot and wait it at least 8 hours. You can do this step overnight. When you remove its cover, you will see that mulberries release their water with the help of sugar. Add ½ cup water in this pot and put it over medium heat. Bring it to boil and keep boiling for 20 minutes. When you see it starts to get a consistency, you’re on the right way. Finally squeeze half lemon juice and boil it for 5 minutes more. Then take it from fire. Let it cool. 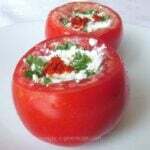 To have the best result, cover the top of the pot with a very thin veil and wait it under sun at your balcony or garden. This will help your jam to get the right consistency and to get more delicious. We love to eat this jam at breakfast spreading it on a slice of bread with cheese. By the way, don’t forget to send me (zerrin@giverecipe.com ) an email to join the contest! Black mulberry jam for breakfast or cakes. Wash the mulberries well and cut off their stems. 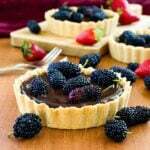 In a large pot, put one layer mulberries one layer sugar until both finish. Cover the pot and wait it at least 8 hours. Add ½ cup water in this pot and put it over medium heat. Bring it to boil and keep boiling for 20 minutes. Finally squeeze half lemon juice and boil it for 5 minutes more. Then take it from fire. Let it cool. Note 08.30.2013: The drawing was gone when I changed the theme to Thesis.